The company is a well-reckoned Supplier of cutting-edge Chain Pulley Blocks (ES Series) in India. The Chain Pulley Blocks (ES Series) are high in quality as these are procured from the reliable sources only. 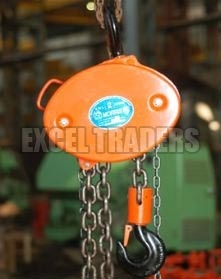 The Chain Pulley Blocks (ES Series) can be availed from us at the most competitive prices.